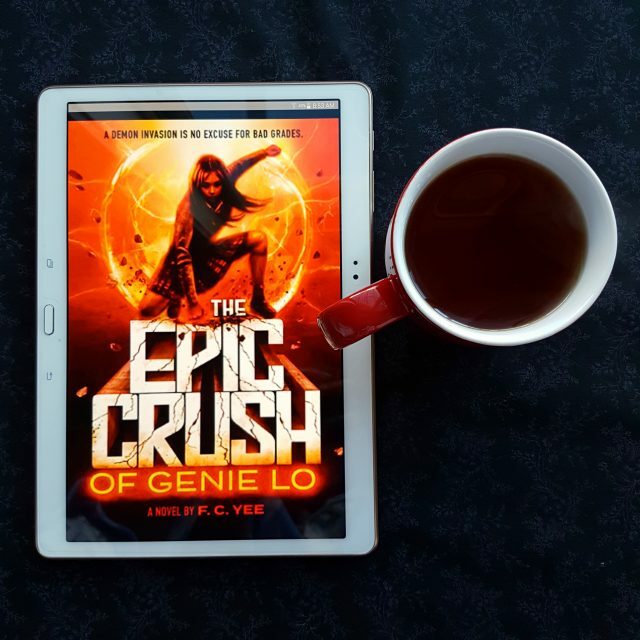 The Epic Crush of Genie Lo is a fun, fast-paced YA novel which plays with elements of the Chinese legend Journey to the West. It was a delightful read, but suffers from a few flaws. Genie is a great character. She takes her study seriously and uses her unusual height to round out her curriculum as a member of the volleyball team. Her greatest dream is to leave behind the Bay Area town in which she lives. She’s disciplined, but underneath she’s quite an angry person, which I liked about her. She’s also a little bit juvenile at times.This suits her age, but contributes to an overall feeling that the book verges on Middle Grade rather than being Young Adult. This is exacerbated by the relationship between Genie and Quentin. The romance between them is interesting in theory, but in execution it never feels that deep. Instead, it feels tacked on to a reasonably solid friendship. Part of this is due to Quentin’s lack of respect for boundaries. This was entirely in keeping with his character, but it undermines the relationship. Genie pushes back, but we never really see Quentin’s learning curve, making elements of the ending surprising. Genie’s relationship with Quentin also undermines her friendship with Yunnie. This is something Genie explicitly struggles with and it was disappointing that this was never properly followed through. Instead of Genie’s decisions having a lasting impact on that relationship, it gets used as a plot device. The action sequences were well-handled. The few shown on screen were dynamic and fast-paced, and I was happy the ones that took place but weren’t really important to the story got hand-waved. As I mentioned, the story plays with elements of Journey to the West. I liked how it had been updated for the modern age and its framing as a superhero tale. The way the original legend relates to Genie was clever and opened up some interesting discussions on the nature of personhood. It was also nice to see a story that not only centred an Asian-American protagonist, but an entire community. Overall, I enjoyed The Epic Crush of Genie Lo, despite its flaws. The door has been left open for a sequel, which I would quite happily read.